Here is a card I made using Great Impressions stamps. 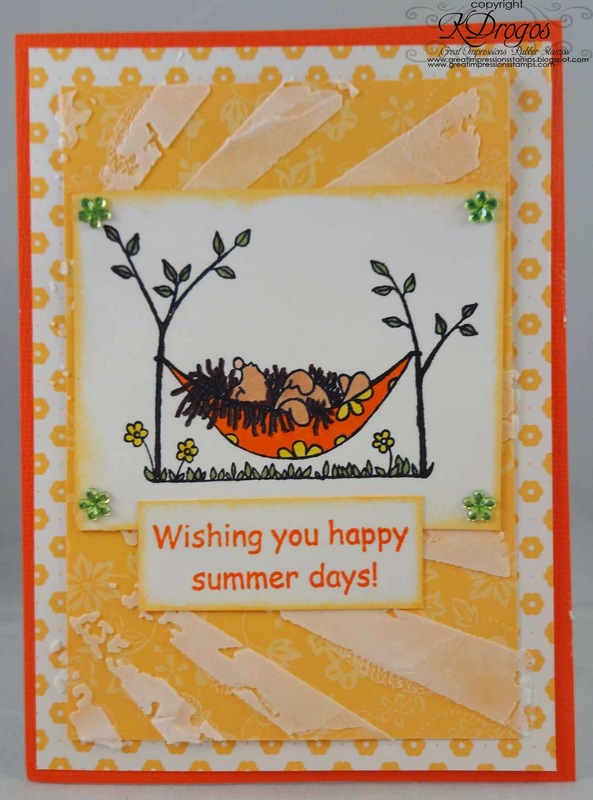 I used this cute Snoozing Hedgehog Stamp F557 and the sentiment is Happy Summer Days B213. Adorable! LOVING the colors and the sunburts!!!!! Adorable card. LOVE the yellow and that cute character. Cool sunbursts too!!! oh my this is so cute.. I LOVE this! And, yes! I could tell it was the sun right away! I have been playing with embossing paste, so the rays of sun caught my eye right away. Such a bright and cheerful card!